I. D. Bracelets (I. D. Band) Adult/Infant 1). Containing identifying bracelet and card. 2). 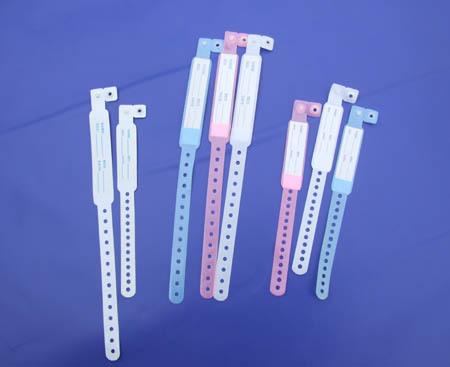 Adjust band with several holes for adjusting various size. 3). Various colors are available Company: Jiangsu Dongsheng Industry Co., Ltd.